History: Radiology resident being scanned for a physics lesson has an incidental finding. 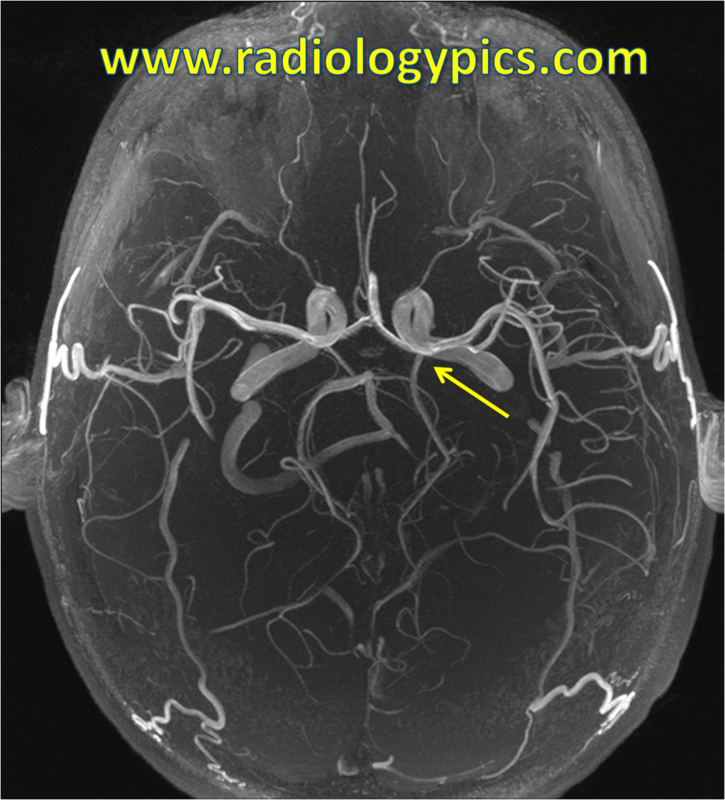 Fetal origin of the left posterior cerebral artery: MRA MIP image shows the left posterior cerebral artery arising from the left internal carotid artery (yellow arrow). 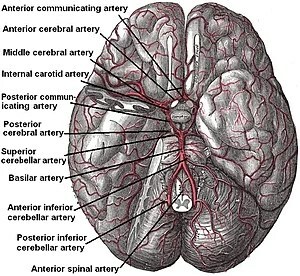 The smaller branch on the left arising from the basilar artery is the left superior cerebellar artery. This is my brain MRI! The finding is called a fetal origin of the posterior cerebral artery, and it occurs when the embryonic form of the posterior cerebral artery fails to regress. It is a normal variant that occurs on either side in 10% of the population, and bilaterally in 8% of the population. The P1 segment of the posterior cerebral artery may be absent, but this is an uncommon finding.